Ron Messelink Ministries exists to communicate the incredible power and wonder of the gospel of grace. We see the power and wonder of the gospel of grace and faith proactively impacting and transforming the lives of people for the glory of God in every tongue, tribe and nation. We focus on helping people experientially know Christ and what He has done for them, what He has done to them and what He will do through them. We communicate this gospel in churches, bible schools, mission endeavors and in everyday life by preaching and teaching, living and loving, and giving and going. The ministry directors exist to support Ron and our mission through guidance, counsel, accountability, encouragement, wisdom and critique. Each man has a passion for and is active in local church ministry and each have traveled often and widely in short or long term mission endeavors. Their lives, friendship and investment are a gift to Ron and this ministry. Ron Messelink Ministries was founded in 2013 from a passion to communicate the incredible power and wonder of the gospel of grace. Ron attended Calvin College and Davenport University for business and is a graduate of Grace School of Ministry. An ordained minister, he previously served as lead pastor and teacher for 18 years in the local church, which he planted in 1995. 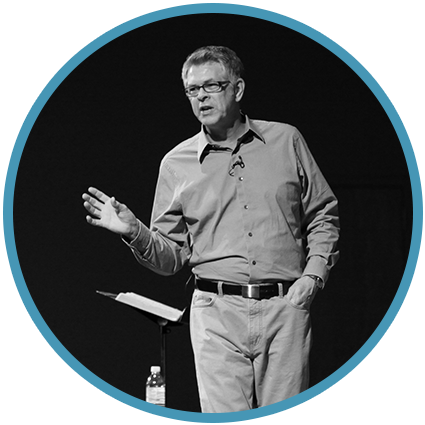 In addition to pastoring, Ron has written as a contributing editor for the Pneuma Foundation. He has also ministered internationally in bible schools, churches and fields in the US, Mexico, Europe, Africa and China and is currently preparing for ministry endeavors in the Middle East. Ron and his wife Joy have been married for 38 years and have two adult children, both of whom are married, and six grandchildren. The Messelinks reside in Grand Rapids, Michigan. Sign up with your email address to receive RMM news and updates.